Hypnotherapy has been used by many athletes to improve their performance and it was largely used in preparation to the Olympic Games of 2012 in London. You know that being a successful athlete involves maintaining high levels of physical fitness, and you also know that your mind plays an important role in making you believe that you are cable of and giving you the motivation you need. Athletes need many things to be good at their sport - Practice, determination and a positive attitude. People who play a sport know the importance of keeping their body in great psychical shape. The body performs best when it is healthy and fit. However, the mind benefits from training too. Making sure one practices the right mindset is proving to help athletes excel in their field. 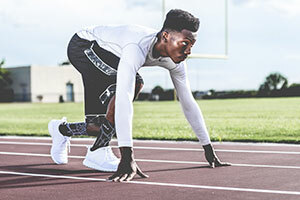 Athletes who are serious about moving ahead devote huge quantities of their time to maintaining and strengthening their physical prowess and many famous athletes have used sport hypnosis to improve their performance. Tiger Woods or Kevin McBride use hypnosis to free their mind from worry and pressure, and this allows them to perform better. Hypnosis is often used for this cause. If you clear your mind from distractions, the focus goes uniquely on the game. This allows an individual to devote all their concentration to the game, so they can play better.